Denver, Colo. – Colorado is known for providing skiers and snowboarders unparalleled winter getaways thanks to Colorado’s superior snow, diverse destinations and opportunities for exceptional experiences. For the 2008-09 ski season, Colorado Ski Country USA resorts will further this reputation by investing millions in resort enhancements. The results will include acres of new terrain, several new chairlifts, numerous lodging rooms, massive snowmaking improvements, loads of new parking spots, some new restaurants, and a cabriolet. At Arapahoe Basin, $1.2 million dollars will be put into improvements for the 08-09 season. A-Basin will be unveiling new “terrain” – 300 additional parking spaces connected to the resort via a pedestrian tunnel under Highway 6. The tunnel will make for safe easy walking access to and from the base area. Additionally, the resort will have shuttles available to take guests from the upper parking lots to the base area. After catching a shuttle to the lift, guests can catch some rays on the new south facing sundeck at the Black Mountain Lodge. The 1,754 square foot deck will provide seating for 100 patrons and will be constructed from recycled materials. New snowmaking capabilities will enhance the Sundance terrain and allow for more beginners skiing, and will be done with optimum environmental efficiency. Arapahoe Basin’s snowmaking system is an airless system which uses 20% less electricity. A-Basin uses less water for snowmaking than any other ski resort due to their strict water policies. 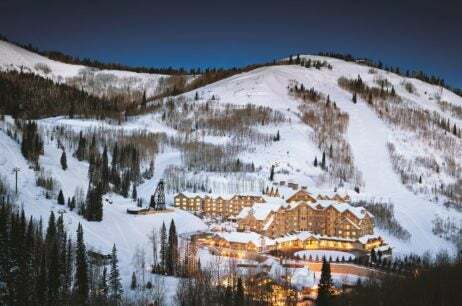 Aspen/Snowmass, comprised of Aspen Mountain, Aspen Highlands, Buttermilk and Snowmass will invest $35 million dollars in capital improvements for the 2008-09 season. Improvements include new terrain at Aspen Highlands and Snowmass. 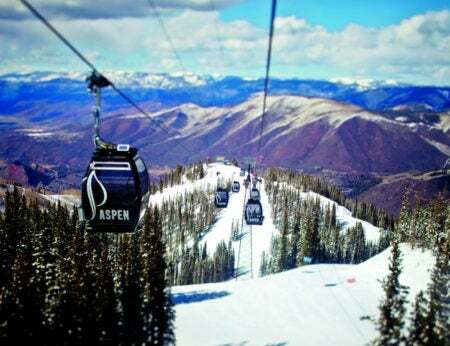 Aspen Highlands, known as the local’s mountain and home to the challenging Highland Bowl, will add acres of skiing and riding in the Deep Temerity area of the mountain called Canopy Cruiser. Accessible by a new detachable quad chairlift, the Sheer Bliss chair will serve up 700 acres of some of the best terrain in the Big Burn area giving access to challenging black-diamond glades and wide-open blue cruisers. The new lift can carry up to 2,000 people per hour and takes riders 2,212 vertical feet, 155 feet more than the old Sheer Bliss chair, with a ride time just over nine minutes. The base of Aspen Mountain is in the epicenter of downtown Aspen and will have a new and improved gondola plaza for the 2008-2009 season. New steps, and less of them, will make it even easier to load the gondola. Over at Buttermilk Mountain, home to the ESPN Winter X Games, there will be a new Olympic-size superpipe. The new pipe will be more than 500 feet long with walls towering 18 ft. overhead and measuring 22 ft. from the center of the pipe. Upon completion of the superpipe it will stand as one of five 22 ft. superpipes in the US. On-mountain improvements at Snowmass continue for 2008-09 with the opening of two new restaurants. Showcasing spectacular views of Garret’s Peak, Mount Daly and the surrounding backcountry, the new Sam’s Smokehouse restaurant features a barbecue-style smokehouse menu with a variety of culinary delights. At 7,800 sprawling square feet, this new LEED certified eatery boasts floor-to-ceiling windows and table service for 175 guests, plus outdoor seating – all situated atop the Village Express six-pack lift. In addition to the main restaurant, Sam’s Smokehouse will also have a lounge area where guests can grab a quick coffee, breakfast or lunch. Located adjacent to The Treehouse Kids’s Adventure Center and mere steps from the Village Express, Sneaky’s Tavern will be offering both indoor and outdoor bar/ dining seating. American bistro style cuisine will be served at lunch, après and dinner. Snowmass’ new base village is home to nearly 90 ski-in/ski-out condos. Hayden Lodge, where Treehouse is located, and Capitol Peak Lodge are now offering the first luxury condos to be built in Snowmass in 20 years. High ceilings, modern furnishings and expansive decks provide the ideal ski-in/ski-out experience. Copper Mountain and Camp Woodward are bringing the innovative instructional practices of Woodward to the sports of snowboarding and skiing – and to the slopes of Copper. Progressive teaching tools inside the multi-million dollar training facility include trampolines, foam pits, resi-pits and bungee systems, all of which will allow athletes to push the limits of their own abilities and sports, in a safe, supported environment. Woodward at Copper (www.WoodwardatCopper.com) will offer access to year-round training programs including Winter Experiences beginning this season and Woodward at Copper Summer Camps in 2009. Copper is striving for Green Globes recognition, recognizing environmentally sustainable building practices, with the 19,000 sq. ft. Woodward at Copper training facility, aka, The Barn. Continuing the momentum from the past four years, Crested Butte Mountain Resort is plowing ahead with both base area and on-mountain enhancements. On-mountain improvements include expanded terrain off the Headwall lift into the Teocalli bowl area, known as Teo-2 and Teo-2.5, which will add expert terrain to the mix. More on-mountain changes include the new and expanded features in the DC Terrain Park and the addition of a completely new intermediate terrain park. Guest services abound at Crested Butte with a new central ski valet and overnight ski, snowboard and boot valet service. The service is free to all CBMR hotel guests or to other guests for a nightly fee and will feature ski-in ski-out access. The ski valet service pampers hotel guests from lobby check-in to hotel check-out with seamless handling of ski and snowboard equipment during guests’ stay. Snow Igloos, Crested Butte’s new fun addition to the mountain experience will sprout up around the resort for après ski cocktails and adventure play areas for kids. The solid snow structures will be at Kids Base Camp and mid mountain outside the Ice Bar Restaurant. The Treasury Center building at the base area will be redesigned to improve a number of guest services. The Crested Butte Ski and Snowboard Rental Shop will be moved to a slope-side location. Both the rental shop and a new retail store will include top of the line rental skis and snowboards along with an expanded retail selection. The former location of the Crested Butte Ski and Snowboard Shop will be transformed into a “Pizza Zone”. Pizza, beverages and snacks will be available in the lower level of the Treasury Center to eat on the run or to sit and enjoy. Also at the base area, the Outpost building will be re-designed and opened as a day lodge for guests. Tables and comfortable seating will allow guests to have more inside space for a break or just to warm up. If more than a break is needed to relax, Elevation Hotel & Spa will complete a 25 million dollar re-model which includes all 260 luxury rooms, 11,000 sq ft. spa and fitness center, slope-side sundeck, fire pit, and completely new Atmosphere Restaurant & Bar. Echo Mountain, Denver’s closest ski and snowboard area, is enhancing their already robust tree and feature terrain. New acreage opening for the 2008/2009 ski and snowboard season includes expanded tree skiing and riding in Westside Glades. In addition, Echo Mountain will debut three signature features: a Wood Wave, the 686 Tree Bridge and a Burton/Echo staircase. The Wood Wave and 686 Tree Bridge are new additions in Westside Glades, and the Tree Bridge features three rideable surfaces, including a 12″ box and a 4″ steel rail. Echo’s Burton Staircase, an urban feature integrated into a natural, mountain environment, is a 24-stair set featuring a 12″ box, a 4″ steel rail and a center log with dual hubba ledges, bringing elements of street riding to Echo’s Junkyard. Mountain improvements will also include an expanded LC1 designated beginner learning area and the installation of a Magic Carpet surface lift. Base area improvements will incorporate the addition of concrete pavers in the Echo Plaza and a new and improved layout in the Echo Lodge and Echo Garage, which will increase overall efficiency and provide a superior guest experience. Monarch Mountain is investing more than $600,000 to expand terrain, enhance guest services and augment its rental fleet. Highlights of on-mountain changes include a kid’s terrain park, Tilt. Located at the bottom of the Panorama Chair, Tilt will feature fun boxes, jumps, slides and hits designed for younger skiers and riders. Tilt will also be a great place for beginners to get some experience on small terrain features. Intermediate and advanced level riders will find terrain changes as well; the terrain park features from Ricochet as well as some new rails and boxes have been moved to the Aftershock terrain park. The K2 Organic terrain park will have more of the natural log features that give the run its character. The logs being used for features on K2 will be cut down from the side of Sleepy Hollow which is being widened for the 2008-09 season. Liberty will be another green run, located where the Ricochet terrain park was. Advanced skiers will appreciate the 200 acres of new terrain added to the Snowcat area. Additionally, Monarch has been working with the United States Forest Service on their proposed master plan that includes lift served skiing in the No-Name Bowl. Guest services will be greatly enhanced starting with a new reservations system. The new system will make it easier for guests to purchase everything they need including lift tickets, rental equipment, ski lessons, children’s programs and even Snowcat trips. Reservations and purchases can be made with one call to 888.996.7669 and most products can be accessed online at www.SkiMonarch.com. Guests with reserved products will be directed to the new Will Call Center to pick up their tickets or rental and lesson vouchers. The Will Call Center is conveniently located just inside the newly remodeled Ski School/Rental Center. Two additional electronic kiosks have been installed to the rental registration area bringing the total to five, making it easier to purchase rental equipment. A new boot drying system has been added and the rental fleet has been expanded. New skis in both the Alpine and Telemark variety from K2, Salomon, and Volkl and snowboards from Burton have been added to the rental and demo fleets. Powderhorn will expand its terrain, adding two new ski trails for the 2008-09 ski season. Both are expert runs on the mountain’s West End. Along with new terrain, a new Magic Carpet surface lift will be installed this winter in the ski school learning area. Real estate developments progress at Powderhorn and have grown to include the Condos at Wildewood and homes in Wildewood subdivision. Purgatory at Durango Mountain Resort is deep into its 25-year mountain master plan with numerous “villages” already under construction and inhabited. The most notable (and noticeable) is the first phase of Purgatory Lodge, set to open this winter in the heart of Purgatory Village. The new lodge is home to upgraded skier services and amenities, fractional ownership and slope side lodging, the new Purgy’s day Lodge, and the exclusive Durango Mountain Club. Peregrine Point is just steps from Purgatory Village and offers the first whole share opportunity at the resort in more than 20 years. The resort is also moving forward with additional village expansions. Tacoma and Engineer Village are already homes to many vacationers, while future plans call for three more villages in and around the resort. On the mountain, Durango is in the final stages of approval of their environmental impact statement regarding on-mountain improvements. Once approved, the resort will begin installing a new high speed quad in the Legends area, and moving the current chair to replace Chair 4 on the front side. New tree trails are planned for the Legends Area, as well as additional beginner and intermediate access routes. The resort also plans to add “subways”, a European method of access for skiers and boarders on relatively flat terrain. Upgrades to snowmaking include expanding their capability by at least 50 percent which will add 200 acres of snowmaking. Over the past three seasons, more than $27 million in on-mountain improvements have been made to the Steamboat Ski Area, including more than $4 million invested specifically for the upcoming 2008-09 winter season. Steamboat’s on-mountain momentum augments nearly $8 million in completed and planned public revitalization projects, Steamboat Unbridled, sweeping the mountain village. Bringing mountain services downtown for the first time, Steamboat Ski & Sport Downtown occupies 1,670 sq. ft. in the new Howelsen Place development–the premier address in Old Town Steamboat. Situated in the high-energy retail environment on 7th Street between Lincoln and Yampa Avenues, Steamboat Ski & Sport Downtown, expected to open November 2008, offers convenient access to rentals, retail, official logo merchandise, lift tickets, ski & snowboard school products, and comprehensive vacation planning services of Steamboat Central Reservations. Approximately one third of the resort’s ski rental fleet is revamped annually. This winter, a quarter million dollars will go toward new skis from the best in the industry, including a selection of the latest equipment from Salomon, Rossignol and Volkl. The new skis will be spread across the resort’s Ski & Sport locations in Gondola Square, Sheraton, Ski Time Square, Steamboat Grand and downtown. In addition to the rental fleet, Steamboat’s snowmaking system will undergo dramatic improvements as new pipe is replaced extensively on Right-O-Way, See Ya, Bashor, Lower Vagabond and Lil Rodeo. Maintaining its industry leading snowmaking position, the new pipe is ductile iron pipe from US Snow Pipe, utilizing the latest in snowmaking technology. An arsenal of low-energy, high-efficiency snowmaking guns will be implemented. These guns use 30 percent less energy than conventional guns while producing the same amount of snow. The resort’s remote parking facility, the Meadows, will expand by more than 38,000 sq. ft. on the north end. The new expansion will be able to accommodate roughly 200 additional free parking spaces. Sunlight Mountain Resort will be undergoing significant change in the near future. The resort is in the midst of a proposed base area development project as Sunlight aspires to create a village that is a year-round mountain playground. Part of Telluride’s $4.4 million dollar capital improvement program for this season includes new terrain, Revelation Bowl, located on the back side of Gold Hill. As guests make each turn, descending the 800 vertical feet of Revelation Bowl, the massive 2,000-foot rock wall on the opposite side of the drainage, grows larger, reaching up to 13,472 foot La Junta Peak and 13,555 foot Wasatch Mountain. To the skier’s right, 13,446 foot San Joaquin Ridge keeps watch over the entire Bear Creek Basin, and to the skier’s left the town of Telluride peeks out 3,000 feet below, overlooked by the San Sophia range. From the top of the new Revelation lift, skiers and riders will be able to choose ridgelines in either direction, offering steeper pitches and rock features on the far sides of the powder bowl. The center touts an expanse of rolling, advanced terrain with a groomed path for cruising. Revelation trails have yet to be named. There will be roughly six trails, one of which will be a groomed intermediate run while the others will be advanced to expert terrain. A new lift, aptly titled Revelation Lift has been constructed to access the new terrain. This locally manufactured Leitner-Poma quad-lift cost $2.2 million and can service 1200 people per hour. Also to come this season are two new restaurants, details of which will be announced this winter. Winter Park Resort is going through a major expansion with The Village of Winter Park Resort coming on board for the New Year. Estimated at $30 million dollars for construction, 30 thousand square feet of new retail, rental, restaurant and living space will encompass the Village area. Additionally, Winter Park Resort is building a new $5.8 million dollar Village Cabriolet to transport people from their free parking lot near the Vintage Hotel to the heart of the Village. The Village Cabriolet is an open air gondola and has a capacity of 2,800 people per hour via 39 cabins. Skis, snowboards, wheelchairs, and mountain bikes can be transported on the cabriolet in a matter of minutes. There will be no charge to ride the Village Cabriolet. As part of Winter Park Resort’s Connexion platform designed to inform, involve and educate resort employees, guests and the community about the environment, 200 additional mega watts of wind energy credits will be purchased to offset the added energy used to operate the new lift. In total, Winter Park Resort will purchase 600 mega watts to operate the new cabriolet, Super Gauge, Eagle Wind and Panoramic Express lifts. The Lofts at Winter Park are 14 new high-end condominiums being built above The Village at Winter Park Resort. Additionally, 200 new units were completed in the late spring of 2008 with the completion of Fraser Crossing and Founders Pointe. For the upcoming season Winter Park Resort has purchased more than a quarter million dollars worth of new gear to update the quality of their rental offerings. All rental skis will be under the new Salomon Syncro rental system which means lighting fast fitting for a more efficient rental process. Also, Winter Park Resort is adding 250 more kids skis, boots and Burton snowboards. All renters receive free “ski up” storage at the base of the slopes. A new Mountain Adventure Center located at Winter Park’s base will offer hundreds of demo skis, on-snow valet, and complementary Smith blue-tooth helmets. Wolf Creek is investing $1.5 million dollars in on-mountain improvements for the 2008-09 ski season. Included in the season’s enhancements is the LEED guided expansion of the Raven Day Use Building, located at the top of Raven Quad.